We’re all familiar with churches that minister to the hungry by providing a bag of groceries, hot meal or sack lunch. Some churches provide financial assistance to individuals and families needing help with their rent or utilities. Others provide clothing, household items, job training, pregnancy resources or shelter to those in need. Each of these acts of mercy are good and the church should be involved in many different forms of ministry to those in need. Scriptures instruct us to care for those who are orphaned, widowed, naked, homeless, hungry and imprisoned (James 1:27, Matt 25). But what does that look like and should the church just give without any expectation of the recipient? Some people deserve mercy because they are working and show gratefulness for what they receive from the church. But do the wicked and ungrateful deserve mercy as well? The answer is yes … initially. We can only understand our responsibility to others by looking at the grace and mercy God shows to us. His mercy is unconditional and He loved us while we were still in our sin (Romans 3:9-18). God’s mercy comes to us without any conditions, but it demands a response from us. God loves us so much that He can’t leave us in the same condition He finds us. We must actively pursue Christlikeness through prayer, worship, Bible study and service to others. Otherwise, our condition will not change. In this same way, we should show mercy to those in need just as Christ did to us. The church shouldn’t judge those needing mercy as underserving, even if they are in this condition because of their own sin. We should give a witness to the free grace and mercy of God. But mercy doesn’t stop there. It isn’t only about meeting a felt need or stopping the current suffering. Our goal in showing mercy is to see those we help come to know God as their Lord. Total restoration and self-sufficiency of the person in need requires active pursuit and cooperation on their part. So, while we show mercy and offer help to all regardless of their condition, we won’t be satisfied to only band aid the situation. Eventually, Mercy will expect change of the individual or we’re not really showing the love of Christ. We offer mercy so that people will grow in Christ, not so that they will continue to rebel against Him. So, if your church has a mercy ministry of some kind, how effective is it in total restoration of the individual in need? Is it very intentional and gospel-centered? Mercy ministries must do more than just meet a felt need. They must lead to total restoration of the individual in need. Perhaps your church is considering starting a mercy ministry in order to engage the lost. Whether you’re starting a new ministry or refining an existing one, the Missions Mobilization Team is ready to assist you. Contact our office for help with your mercy ministry. 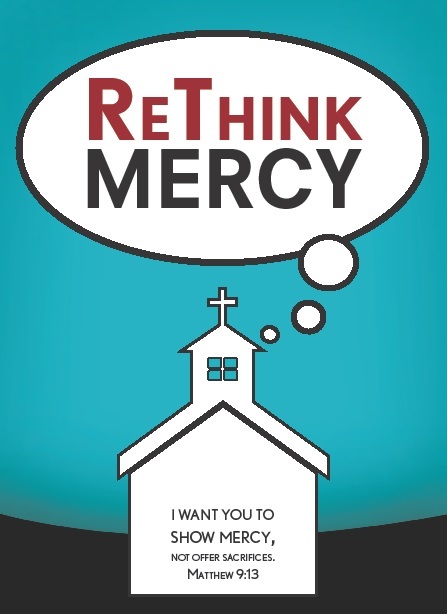 Ministry training is provided through ReThink Mercy workshops scheduled for next week, February 12 or 13, in Louisville or Bowling Green. For more information or to register: www.kybaptist.org/rethink.